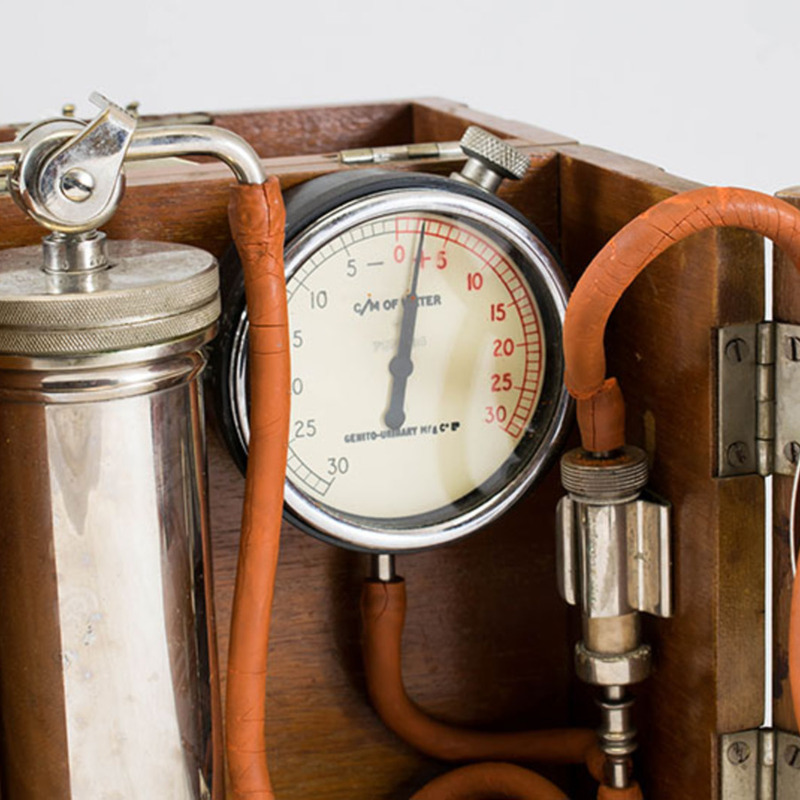 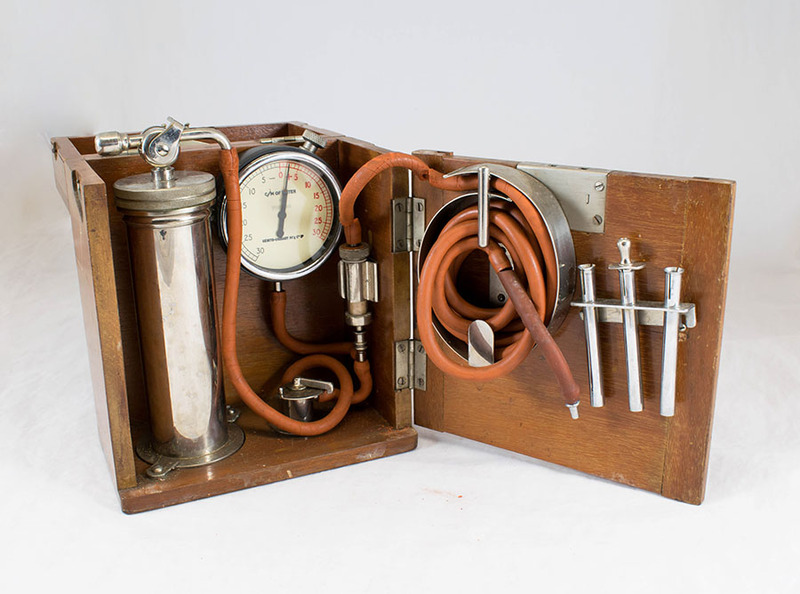 Wooden box containing metal pump, regulating valve, aneroid manometer and filter. 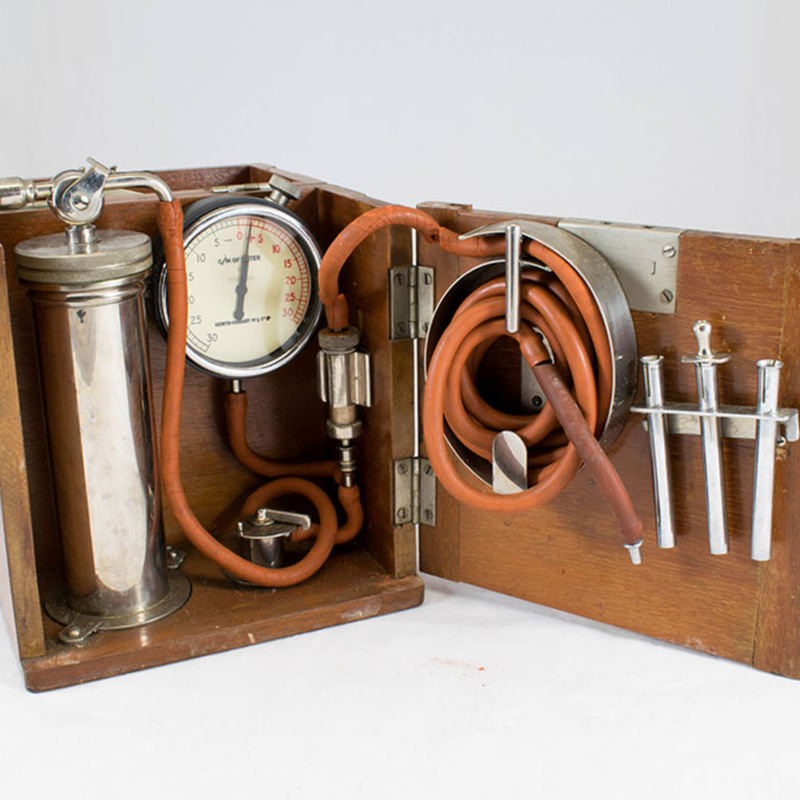 Genito-Urinary Manufacturing Co. Ltd, “Miniature Pneumothorax Apparatus,” Heritage, accessed April 23, 2019, https://heritage.rcpsg.ac.uk/items/show/1253. 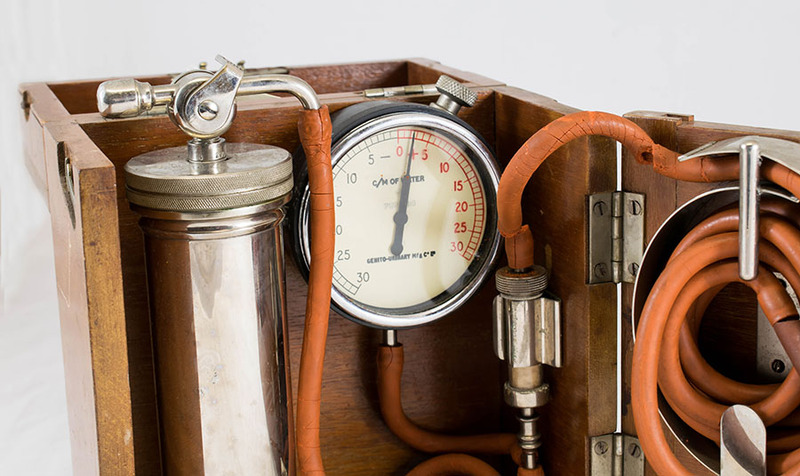 Description: Wooden box containing metal pump, regulating valve, aneroid manometer and filter.